Jaguar World is an essential magazine for every prospective buyer or owner of Jaguar. Buy a single copy or subscription to Jaguar World magazine. It consists of the latest news and features, enlightening all its readers with the best overall news and review of the sports car company, getting you information about hundreds of cars from all around the globe. It is especially crafted for Jaguar admirers all over the world. Jaguar World is the world’s best-selling independent magazine dedicated to this British marquee. It consists of an exciting and illustrative combination of information about new, used and classic models, road trips, buyer and owner information guides. This is the best platform for every motorcar enthusiast to learn and know about various cars. The magazine presents a cache of information about the old models, historical features and the latest developments in the field of motor vehicles. Launched in 1988, the magazine provides the best array of Jaguar news from around the world, covering all ages of the evergreen Jaguar. Special subscriptions also lure enthusiasts to the magazine. 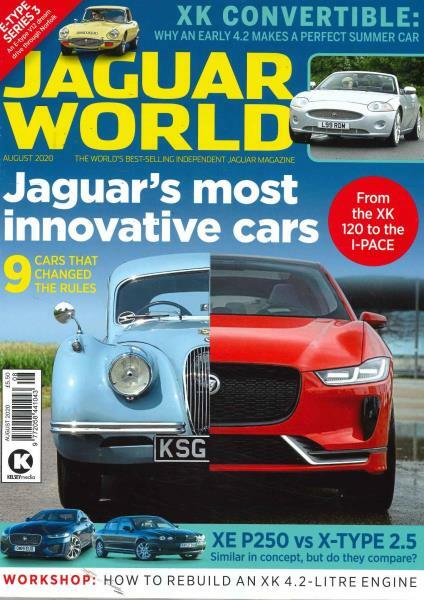 Over the years, Jaguar World with its content and presentation has won a lot of reader loyalty and satisfaction. If you are a motor vehicle enthusiast, then this is just the right platform for you. Subscribe today and remain updated with all the latest news. For more information, log on to our site and be amazed at all that the magazine it has to offer. My husband is delighted with it and reads it cover to cover - several times! The subscription was a present from my wife and having read Jaguar World for a few years now it was very welcome. The magazine is excellent and I have no complaints. Husband Really enjoying this magazine.